Not all of us get a chance to show our product in Paris or on New York’s 5th Avenue. 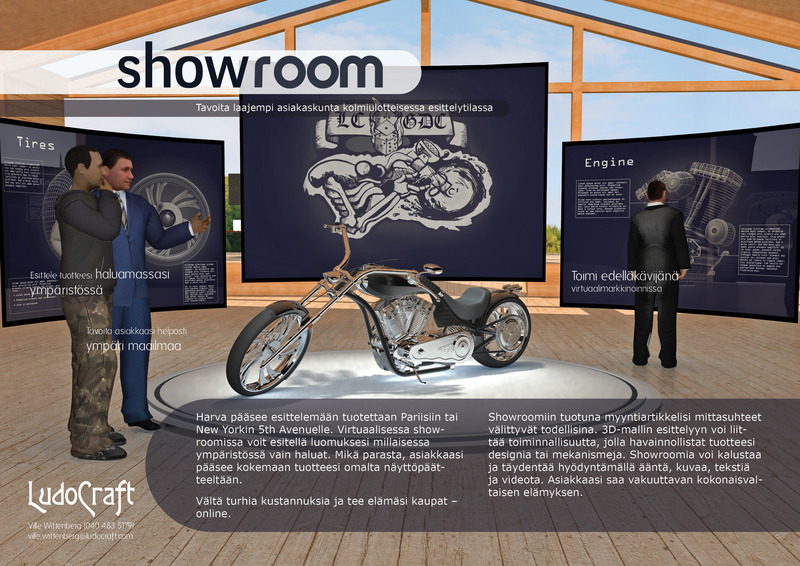 In a virtual showroom you can present your creation anywhere you want, and your clients can experience it just as well in their home as at the office. Be a pioneer in virtual marketing and reach your clients around the world. Avoid redundant costs and make the best deals of your life — online.